St. Petersburg metro is the most popular public transport, and at peak times, it is simply indispensable. In the St. Petersburg subway is easy to navigate, it is convenient to return to the missed stop, there are no long intricate transitions. It is easy to find a metro station – there will be a sign with a rounded letter “M” nearby. 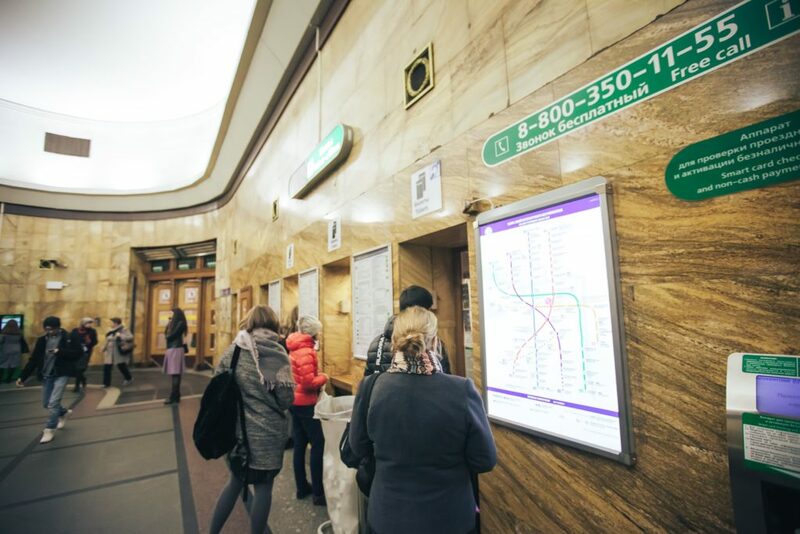 We have collected in one article all the useful information about St. Petersburg metro: how much is the fee and how to pay for it, at what time the station is open, how to get help, if you are restricted in movement, when night trains go and more. Metro map you can buy at any station and this link provide interactive map that tells you the shortest route between the selected stations, transfers and travel time. The metro is open from 5: 30–5: 40 in the morning, but if the station has two exits to the city, one of them can open later, around 6:00 or even 7:00. If you are going to have an early trip, do not forget to check with the schedule at your station or on the metro website, then in the morning you will be able to enter in time through a working entrance. In addition, find information about which stations are closed for repairs. Most stations are closed for enter from 00:30, and duplicate lobbies can stop working much earlier. As for transitions between branches, every St. Petersburg citizen, like Cinderella from a fairy tale, knows that all transitions are closed exactly at 00:15. Does the metro work at night? Yes! During the period of navigation from the end of April to mid-November, on weekends from the Admiralteyskaya to the Sportivnaya, an overnight train goes to help those who got on the bridges that were set apart and did not manage to get to the right bank of the Neva. The shuttle train is open from Friday to Saturday and from Saturday to Sunday from 1:00 to 3:00 during the bridging season. Several times a year, all metro stations work from 1:00 to 5:00 in the morning – for those who go to large-scale holidays with fireworks or other late events. These days include New Year and Christmas, Easter, May 1 and 9, Museum Night, City Day and the legendary St. Petersburg festival Scarlet Sails. The cost of one trip by St. Petersburg metro in 2018 is 45 rubles; the same is the cost of baggage. 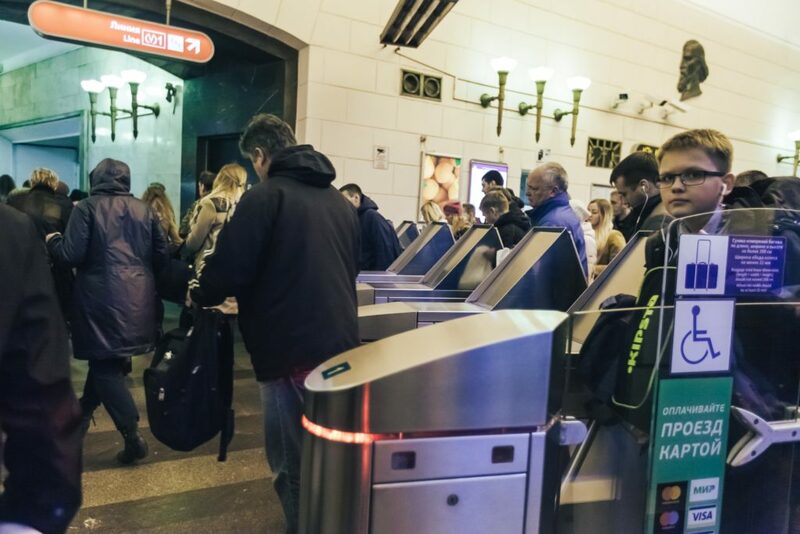 You can pay for travel on the subway with tokens, St Petersburg metro tickets based on plastic cards, certain types of bankcards and using your smartphone, on which the Wallet application should be installed. The most popular travel card is “Podorozhnik”. This is a single ticket, which you will pay off not only in the subway, but also in land transport, while the trip will cost less than a token. “Podorozhnik” is sold at the cash desks of the metro, the cost of the card itself is 60 rubles, and then you replenish it with any amount within 150,000 rubles. You can buy tokens; replenish travel tickets through cash desks and vending machines at metro stations. Another modern and convenient way to replenish the resource card – online on metro website. At the entrance to the station, a metal detector frame is installed through which passengers pass to the escalators and ticket offices. If you have a pacemaker or an auditory implant, and if you are moving in a wheelchair, be careful – special walkways along the edges, left and right, are organized and marked with the appropriate icon. Press the employee’s call button on the separation barrier and you will be guided. elderly passengers and pregnant women with luggage. each station near the cash desks. Is there a Wi-Fi in St. Petersburg metro? There is, and free. You will see its name (MT_FREE) in the coach on each window, after selecting the connection you need to follow the directions on your device. For foreigners, it can be hard to understand what to do, since all instructions on the screen are displayed in Russian, besides, you will have to skip 2-3 commercials. However, the Internet really works at a good speed. Railway stations in St. Petersburg are adjacent directly to the metro, where there is a direct exit to the station immediately after the escalator. 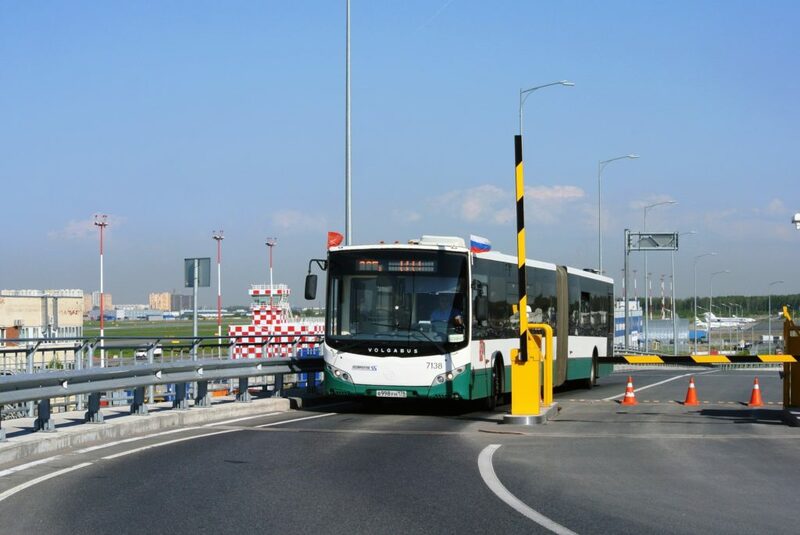 If you need to get to the Pulkovo airport, yours is “Moskovskaya” metro station (exit with a bus sign to the airport). From it you will be taken to the airport by a city bus or a minibus. The St Petersburg Metro is one of the most beautiful underground railway systems. No wonder so many people admire it. I invite you to personal subway / metro tour!